Every Sunday one of the main arteries of Mexico City closes to cars. This past Sunday Luke and I grabbed an Uber to Chapultepec Park and started walking. The road itself is a cyclist haven. There was a lot of lycra on show, but there were also tons of joggers, dog walkers, and wandering tourists (like us). The road is closed in both directions and there are traffic wardens at each intersection to make it easier and safer to cross. This Sunday was also our first foray into the city center. 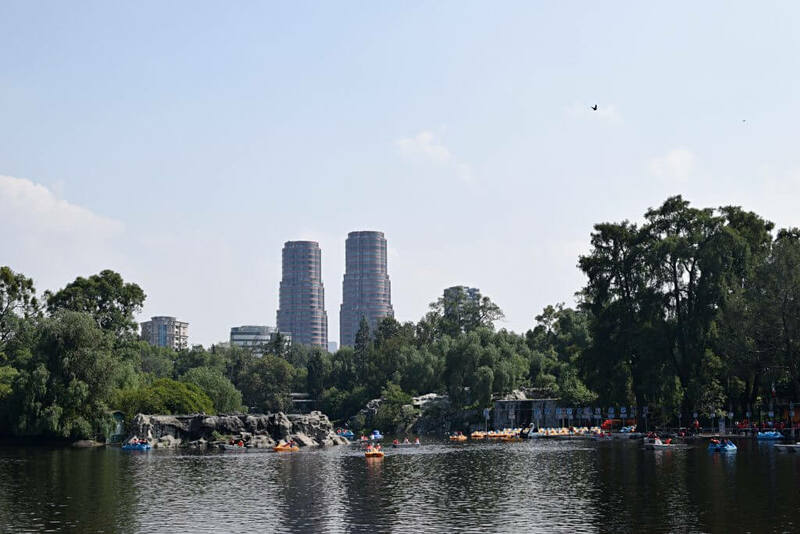 Chapultepec is not only the largest park in the city, it’s the largest city park in the Western Hemisphere. We started the day here with a stroll around the lake. You can rent a paddle boat for 50 pesos an hour. That’s about $2USD. We opted to just keep walking. We wandered past the Botanic Gardens, through rows of vendors selling snacks and balloons, doing face painting and a few carnival style games. The city’s Museum of Modern Art and the zoo are also located within the park. 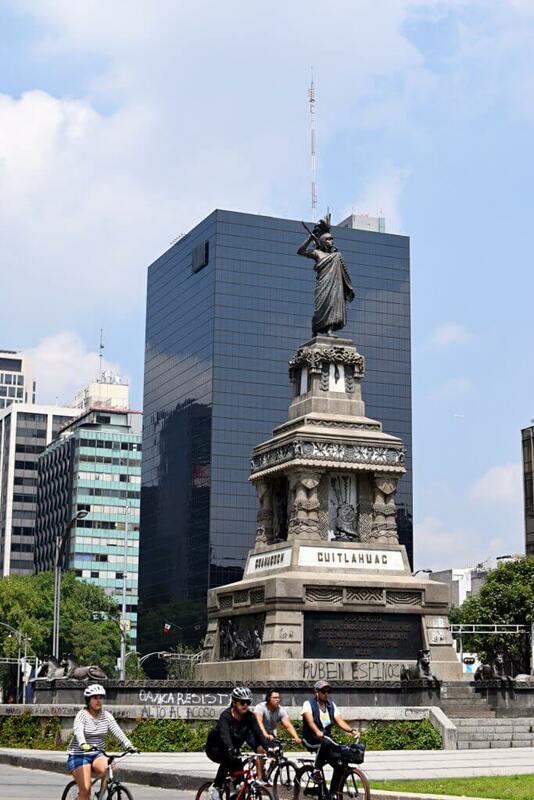 One of the things I really liked about walking down Paseo de la Reforma was all the different monuments. At each intersection there is a roundabout, or rotary circle depending on where you’re from. In the center of each roundabout is a statue that you can walk up to. I can imagine this would be rather difficult when the road is open to cars, but when you’re just battling a few cyclists, it’s a pretty easy crossing. 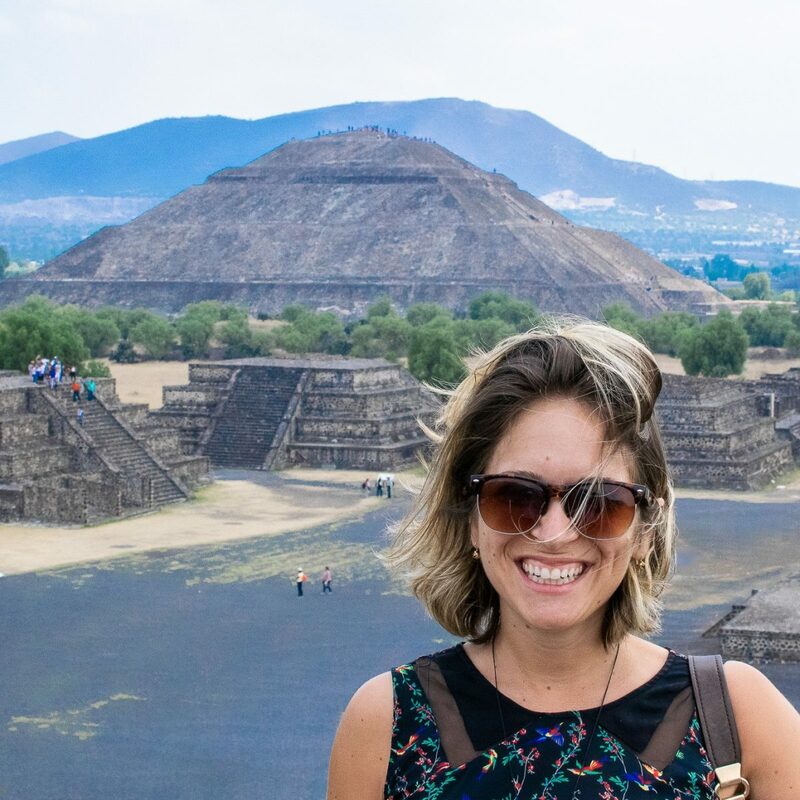 My favorite was the Monumento a Cuauhtémoc, or the Monument to Cuauhtémoc. Cuauhtémoc was the last Aztec emperor and the only one to survive the conquest by the Spanish. He’s something of a legend and his statue is really something to behold. You can pick up a bike at one of the many bike rental spots around the city. You’ll have to register online first. Once you do it’s really easy to just grab one and go. You can get a one-day pass (90 Pesos or $4.50), a 3-day pass (180 pesos or $9), a week pass (300 pesos or $16) or a year pass (400 pesos or $21). It’s pretty great value if you plan on spending a bit of time cycling on your visit to the city. Paseo de la Reforma was absolutely choc’ full of bikes on Sunday, as I’m sure it is every Sunday. This is not a joke. 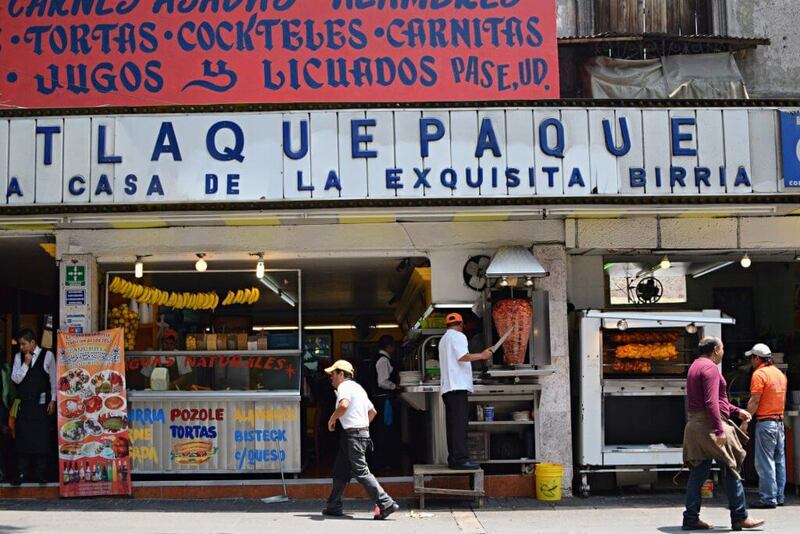 The tacos at the small stands around Alameda Central off of Avenida Hidalgo are the ones I thought were the best, but there are so many to choose from. 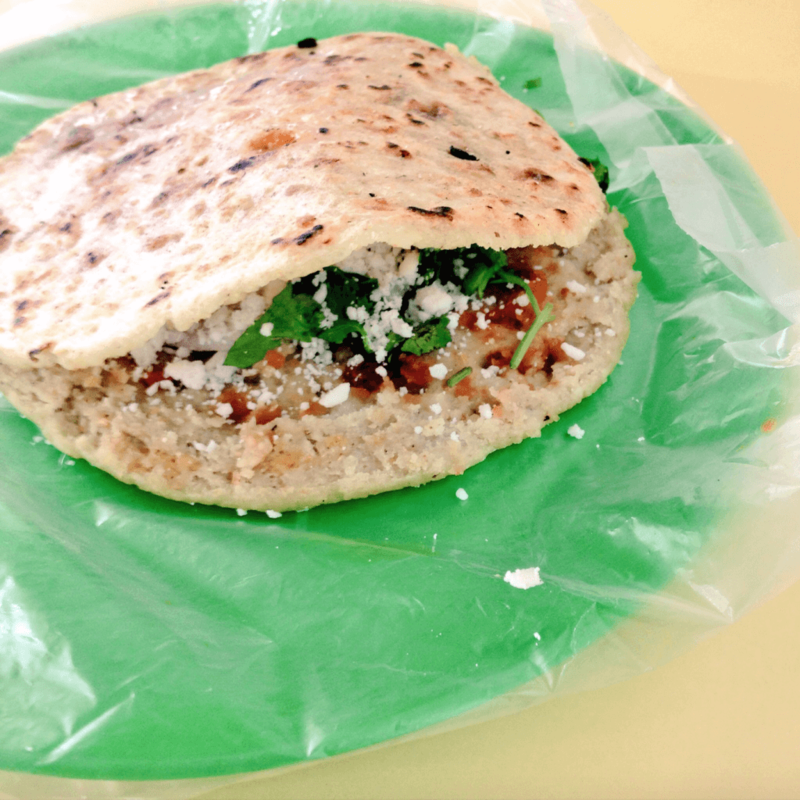 I’d also recommend trying a gordita (stuffed tortilla in the picture above) and washing it down with some guayaba juice (guava). The Zócalo is the main square in Mexico City. 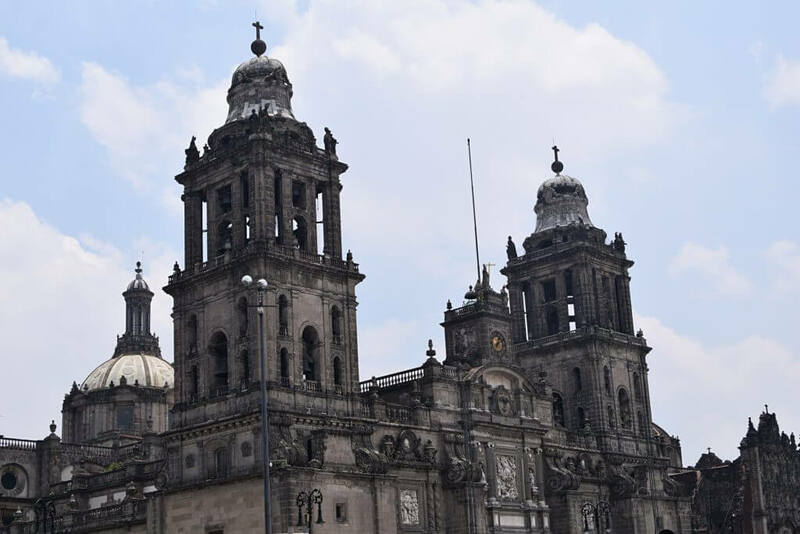 It’s home to the cathedral and the national palace. You can walk into the cathedral for free, but can’t take any photos inside. It’s huge and is one of the first things you spot as you come closer to the square. You can go inside the National Palace as well, but the line can be quite long on a Sunday and only a certain number of people are allowed in at a time. If you do want to go in, either visit on a weekday or be prepared to wait. Walking, cycling, or jogging along the Paseo de la Reforma on a Sunday is a really great way to see the city without the chaos of all the car traffic that you get every other day of the week. It’s a great time to see the people of the city, to enjoy some of the architecture, the history, and of course, the food.